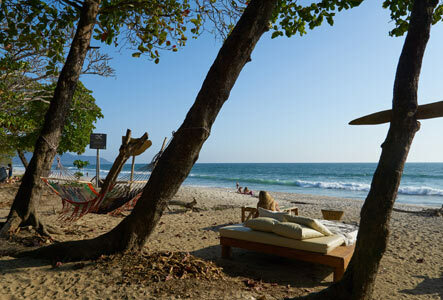 Santa Teresa with its cool surf beach lifestyle seduces many visitors who had merely come on a beach vacation to Costa Rica. 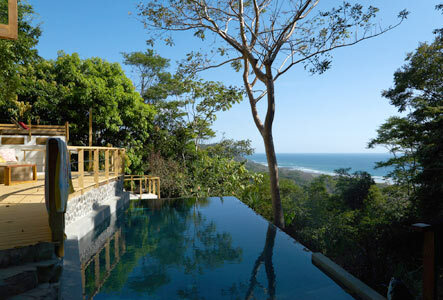 The area’s appeal is obvious: along a vast expanse of white sand beach you find one of Costa Rica’s most coveted surf breaks drawing surfers and beach lovers from all over the world. The topography of the area is unique with jungle-covered mountains pushed up against the shoreline, affording property owners amazing ocean vistas. An increasing number of people decide to buy real estate in Santa Teresa either to build a house for themselves, operate a vacation rental, run a hotel, or just enjoy Costa Rica’s pura vida. The aftermath of the Great Recession lasted from roughly 2007 – 2012. It particularly affected the real estate market in the US, and in Costa Rica just as well. Slowly investors reappeared and the buying spree is in full gear now. Santa Teresa is still likely in only the very early stages of development and price appreciation. With most of the tourist activity concentrated near the beaches of Playa Santa Teresa and Playa Carmen you find a vast selection of hotels, restaurants, shops and services here. The land abutting the shore is flat and buildable. As real estate properties have become more expensive, they are sometimes on smaller lots. Inland from Santa Teresa the land rises steeply into forested hills where you find great oceanview properties. If you crave more tranquility on the beach you can check out real estate in Mal Pais and Manzanillo. Pure beachfront properties however, sometimes have legal issues. Be sure to contact us to help you through the complexities of this process. On a tighter budget you might consider buying a property inland. Just a short 15-min drive from the coast, prices for real estate drop considerably. In Santiago or San Isidro you find land and houses where you enjoy the tranquility and peace of Costa Rican countryside living while still being close to the ocean.